There have been many international prospects as of late that have gone on to become stars in the NBA, from Kristaps Porzingis to Dario Saric and Giannis Antetokounmpo. This year people are raving about Slovenian play-maker Luka Doncic who will be a high pick in the 2018 draft but a new international star is setting the tone for the 2019 draft class. Sekou Doumbouya is something special; he is ultra-explosive at 6’9 230 and can impact the game on both ends of the floor. When the ball is in his hands running full court he is hard to stop. He can rise above the competition and dunk on you or he can use smooth finesse to score on you. He also has improving range meaning you can’t just leave him out there. He is the no.1 international prospect in the 2019 draft and the no.6 overall prospect by NBA Draft Room. 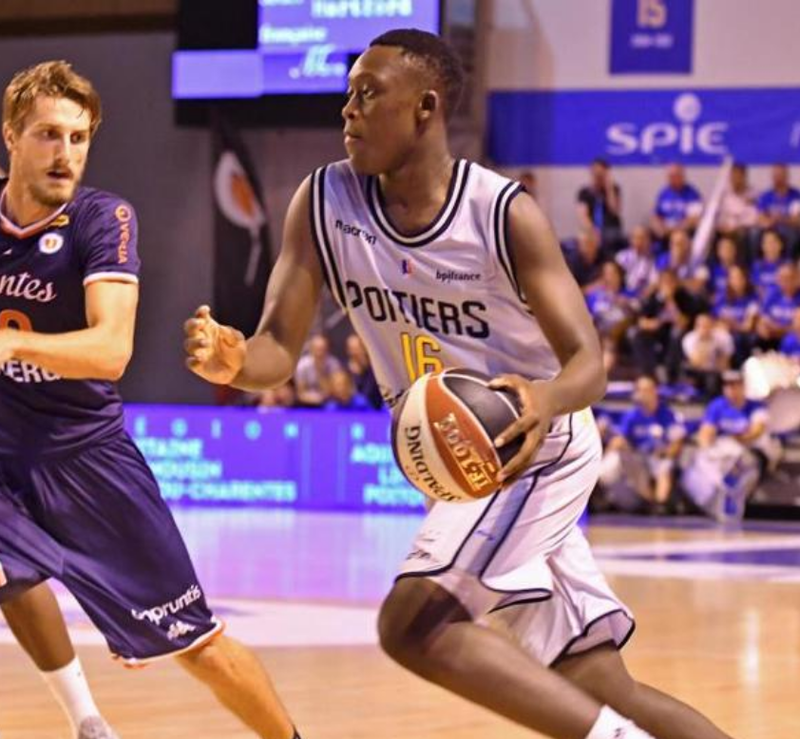 I see Doumbouya being anywhere in the top 3 when the 2019 draft comes around. He is just as talented and explosive as any prospect in the 2019 class and he is only getting better. The international star talked to me about his play and the year he is deciding to enter the NBA draft. LJ: You are one of the best international prospects out there. Have you faced any other international prospects that are currently being looked at or in the NBA now? Sekou: Yes, I have faced many talented players such as Frank Ntilikina, Luka Samanic or Lycens in the USA. LJ: Have you won any championships? Sekou: Yes I finished European champions with the 1998 generation. I finished 3rd best scorer of the tournament and best scorer of France. LJ: What awards or MVPs have you won? Sekou: I did 4 tournaments with my generation and I won 4 MVP titles at each tournament. LJ: What team do you play for now? Sekou: I play for Poitiers in the second French division. LJ: You are the no.1 international player by NBA Draft Room for 2019. Do you plan to come out in 2019? Sekou: Yes I intend to be in draft 2019! LJ: Who is your favorite NBA player? Sekou: I have 3 favorite players Paul George, LeBron James, and Kevin Durant. LJ: What's the toughest international player you have played against? Sekou: So far I'm not having trouble against any international players. LJ: Is there an NBA player you model your game after? LJ: Do you have a team you really like in the NBA? Sekou: Yes of course, Chicago because of the legend MJ!! LJ: Is there a basketball player that is from your country that your country talks about or looks up to? LJ: What is the strength of your game you think makes you an impact player? Sekou: My power my versatility and my physique. LJ: You ever thought about attending college in the USA? Sekou: Yes of course I would say that it was a dream but I progress faster than expected in work and I no longer see the interest of going to the United States. LJ: What does Sekou bring to a team? Sekou: I bring my energy my versatility on the court I am able to impact the game defensively or offensively. The state of mind also that is very important, which brings leadership.